Reminder: io9 Book Club meeting next week to discuss "Zero History"
A reminder that the io9 Book Club is meeting next week, October 5, to discuss William Gibson's new novel Zero History. What is this crazy io9 Book Club, you ask? Let me tell you about it. For those unfamiliar with the io9 book club, here's how it works: You read the book. We create a special book club post on io9 when the meeting is in session (it starts Tuesday, October 5), and everybody talks about the book in comments for a few days. Usually he author joins us, but in this case Gibson is on tour so you'll have to be satisfied with asking him questions via Twitter (he usually answers!). Or you can read my interview with him from a couple of weeks ago. 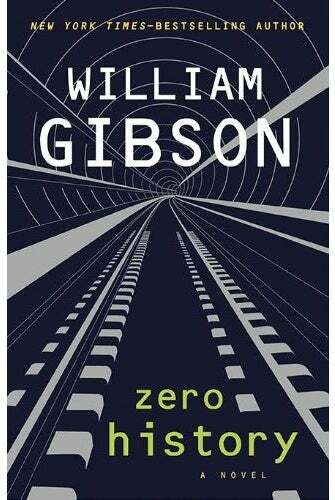 Zero History is a brilliant, entertaining, and bittersweet conclusion to Gibson's only trilogy about the present day. The book can stand alone, but will be a much richer experience if you read the first two books in the trilogy, since characters we meet in both return in this book to complete their arcs. In this series, Gibson has managed to capture the weirdness of present-day corporate life, as well as the ephemeral moments of artistic and economic rebellion that can thwart even the spookiest of government plots.